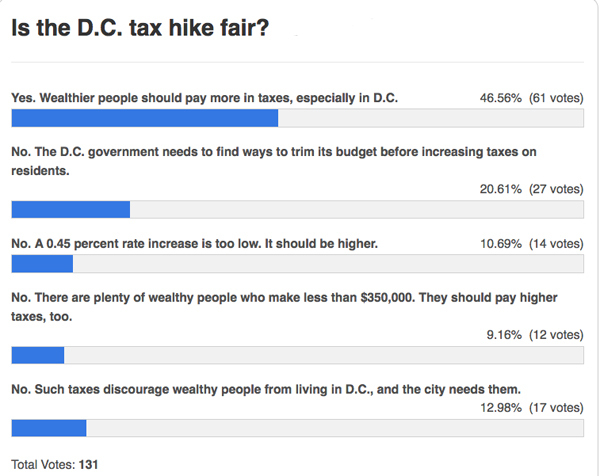 Yesterday we asked you to weigh in on whether it was fair to raise the income tax for D.C.’s wealthier residents. In an admittedly unscientific poll, 47 percent of readers voted that it made sense to increase the income tax rate by 0.45 percent for people making more than $350,000 year. Check out the results below, and cast your vote if you haven’t already. Two Americas Coexist in D.C.